As they say your first impression is judged by your shoes, hence shoes are the core part of dressing of any person. They are an integral part of the body language as they determine the walking style of any guy. Men may or may not be conscious about fashion but they are definitely particular about their shoes. With well-fitted and comfortable shoes you can walk miles and on the other hand the ill-fitted shoes cause irritation, swelling and such. If you are frustrated of lack of options of men’s footwear available in the market then, it is the time to keep aside the frustration as now the diversified range of men’s footwear is offered by various brands. Today not only in the designs but also in the types of shoes for men, a stupendous variety of men’s footwear is available. There are different kinds of men’s shoes for different kind looks you want to have. 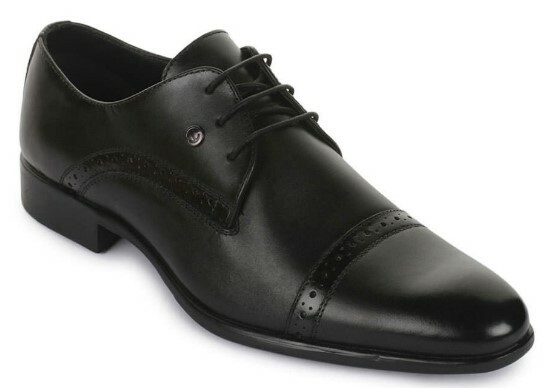 For formal looks you can go for men’s formal shoes where as if you want to go casual then men’s casual shoes like boat shoes, men’s sneakers, loafers are there for you. For comfort you can go for flip-flops, men’s slippers, men’s sandals and the likes. There are even options for men’s ethnic footwear in the market offered by exclusive brands like Manyavar etc. So you do not need to worry about the options for men’s shoes available in the market. Just decide the occasion, decide the look and you have the options of shoes for the same. Now you don’t even need to go to the market and hop here and there in search of footwear specially men who do not like this tedious task of shopping. The online stores for shopping are here to make it feasible. There are many online shopping portals Like Amazon, Flipkart, Koovs, Myntra, Snapdeal, Tata Cliq, Jabong who have an exclusive section for men’s footwear where you can find variety of men’s footwear of different brands like Adidas, Reebok, Puma, Nike, Woodland, Franco Leone and more. Some men are sceptical about buying footwear online because of the size and fitting. So keep aside your worries and doubts as these online stores also have the size chart where you can check for the suitable sizes and buy the product. Apart from this, they also have the facility by which you can change the product that you have purchased if it doesn’t fit you or in case of any other problem. We have all heard that a man’s feet reflect his personality. A smart way of enhancing that personality is wearing good pair of shoes. A sparkling neat and clean pair of shoes not just leaves people with a good impression of you but also adds to your comfort. Though there are huge variety of shoes in the market, casual shoes are something that stick to us with their versatility and utility. The best casual shoes for men are brought to us by brands like Puma, Adidas, Vans, Allen Cooper, Benetton, Converse, Lee Cooper, etc.. These shoes are in high demand these days. The main reason for their fandom is that they can be used for different occasions and are extensively comfortable. Right from loafers to sneakers, to boots, slip-ons and moccasins, everything falls under the broad category of casual shoes. Though most of the casual shoes can be worn at anytime and anywhere, there are a few crafted for special requirements. For those who like to trek and go hiking during vacations may pick up a strong and high grip outdoor shoes by Woodland. The ones that go running and play outdoor games, or just like to go out for morning and evening walks have for them a wide range of sports, running and walking shoes by brands like Puma, Reebok, Adidas and Skechers. For a stylish and fascinating look, there are slip-ons and sneakers. Converse is one brand that makes for its customers ankle high sneakers, normal sneakers and slip-ons that offer you a relaxed feel and are durable. Boots are another amazing men’s casual shoes that not just keep your feet warm during winters but also add a charming aura to your style. The latest fashion found in the casual shoes for men these days is prints, patterns and doodles that make them look funky. When you shop online for casual shoes, you are provided with a variety of options to choose from. All the best brands with their latest collections can be found under one roof. The filters offer you the desired results so that you don’t have to waste your time looking at what you never plan to buy. Placing an order for a pair of men’s casual shoes online is really easy and you end up saving time, energy and money. Your favourite pair of men’s casual boots or your most wanted casual sneakers are put forth you without much effort. What else does one want? Obviously you want more to it. Not to worry as GoPaisa is there for further help. GoPaisa is an e-cashback site that wants you to save more and more. They have for you assured cashbacks and discount coupons that can be availed when you shop via GoPaisa. User reviews, video reviews and unboxing videos of all the products that exist online can be found at the GoPaisa page. Another great thing about this platform is their discussion forum that enlightens you about the item that you plan to purchase. Now that is a lot of thing gathered under one roof. So put your best shoes on and be ready to buy more. Finding a right pair of shoes that matches your taste and style is not easy. Thanks to the online shopping, everything is available just a swipe away now. Along with the latest trends, we come across exciting discounts and offers that make our shopping budget-friendly. Whether you want to buy men’s footwear online or looking for shoes for men on sale, get hold of applicable coupons of famous brands before you begin your shopping. When you have plans to buy sports shoes, Adidas is the best choice. The brand, which is promoted by most respected sports personalities like Lionel Messi, and David Beckham, offers a wide range of shoes for men. Sign up at Adidas to earn an instant discount of 15% on your first shopping. 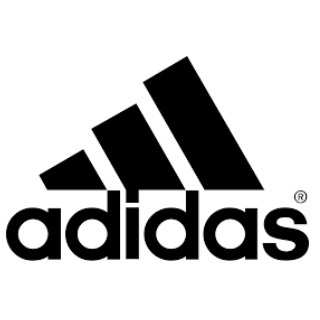 If you want to purchase Adidas men shoes, shop during men footwear sale on Adidas to earn up to 50% off on men sports shoes. Snapdeal is offering up to 60% discount on Adidas running shoes for men. And, on purchasing via Bank of Baroda credit card, you can grab an additional instant discount of 15%. On the Flipkart platform, you will get up to 45% off on Adidas shoes for men. No men footwear coupons are required to avail the discount. 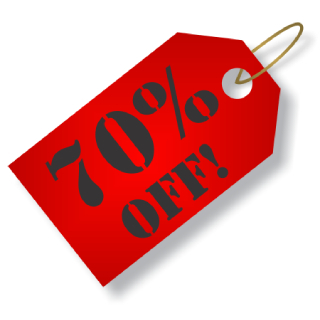 Offer: 70% off. T&Cs apply. While shopping online for shoes and clothes, one can check the price and shop under their budget. But no more you have to think about the money anymore as AJIO offers exciting discounts on its product and makes shopping affordable for all. Get up to 60% off on AJIO handpicked shoes and sandals for men. No AJIO coupon code is required to avail this discount. Use the Coupon code “AJIO40” to avail an extra 40% off on all orders worth Rs. 2,290 or above. On using the AJIO offer code “BLAZE1300”, you can take advantage of AJIO Flash Sale, which is available for a limited period only. With this offer, users will get an instant discount of Rs. 1300, provide the billing amount is above Rs. 2,190. A minimum discount of 56% on footwear is available on AJIO. In order to avail the offer, use the AJIO offer code “FLASH56” at the checkout. The offer is applicable on products worth Rs. 2,790 or above. A minimum discount of 30% along with an extra 30% off is available on shoes, worth Rs. 2,490 on AJIO. Don’t forget to use the coupon code “EXTRA30” to avail the offer. On the first purchase on AJIO, the brand is offering up to 30% off on shopping worth Rs. 999 or above. You have to use the AJIO coupon code “FIRSTBUY” for this offer. Whenever you aren’t able to purchase shoes that you’ve wished for under the planned budget, wait for an upcoming Amazon Sale. On special occasions, Amazon rolls out The Amazon Great Indian Sale where one comes across the widest choices on products across categories, including men’s footwear. Amazon is offering a 70% discount on men’s footwear of famous brands like Austin Justin, Arise, RedFoot, and West Code. Get an instant discount of 5% on using HDFC Credit or Debit cards. Pay via BHIM UPI or Rupay ATM cards, credit cards, or debit cards to earn up to 10% cashback, maximum Rs. 50, on Amazon. The cashback will get credited to the Amazon Pay balance within 15 business days. If you are purchasing men’s footwear for the first time on the Amazon, select the online payment option to earn 50% cashback. After paying via ATM card, Credit card, or Debit card, cashback of up to Rs. 100 will get credited to your Amazon Pay balance. Bata is counted as the most trusted brand for shoes since ages. The reasons why everyone relies on Bata shoes are they are made of high-quality and last longer than other regular shoes. So, if are thinking about investing your money on durability, trust Bata men’s footwear. Use the Bata offer code “BATATHIRTY” to earn a flat 305 off and an additional 11% off on your purchase. Get a flat discount of 25% on using the Bata promo code “BATAONLINE25” to purchase men shoes. The offer is applicable to selected items only. If you are a fan of Bata North Star shoes, use the coupon code “BATASTAR30” to earn flat 30% off. The offer is valid only when the purchase amount is above Rs. 1,199. On doing online shopping on the Bata platform, the company is giving a flat 25% discount on a wide range of products. In order to avail the offer, use the Bata offer code “BATAONLINE25”. Crocs shoes don’t need any introduction. From classic crocs to loafers, whatever style you like, purchase it from the official Crocs website. 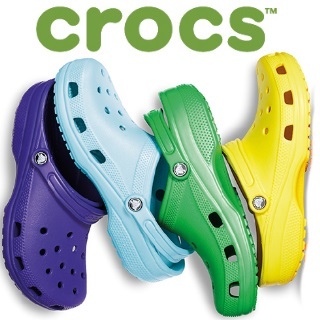 Additionally, you can utilize lucrative men footwear offers on Crocs to cut down prices of expensive shoes with an ease. On the summer collection, Crocs is offering up to 60% off. Hurry up! This is a limited period offer. Earn up to 30% off on shopping Crocs footwear from the TATA CLiQ platform. No coupon code is required to avail this offer. Get your hands on a minimum discount of 30% on Crocs shoes on AJIO along with an extra discount of 30%. Don’t forget to use the coupon “EXTRA30” before making the payment. Flipkart is offering up to 55% discount on Crocs brand. Hurry up! This is a limited period offer. Avail up to 40% off on Crocs men’s footwear on Myntra. Online shopping seems good but not when you get altered products. To avoid such situations, Ezmall is the place from where you should do your shopping. This online platform displays videos of every product, therefore you get to see each angle, before you shop and thus, get what you see. On the Ezmall, users can avail up to 65% off on men’s footwear including sports shoes, formal shoes, and sandals. When it comes to shoes, Fizzexpress provides users only with the quality products, without compromising the level of comfort. Plus, this online store gives you the freedom to grab exciting men footwear offers and discounts. Earn a flat 15% off on men’s shoes during Fizz Festive Fiesta on Fizzexpress. No coupon code is required to avail the offer. On selected men’s shoe brands, Fizzexpress is giving an extra discount of 15% on using the promo code “TOPUP15”. Get 40-80% off on top fashion brands only at the RIGHT Sale! Enjoy #YourRightToTheRightSale this Republic Day sale from 20th to 22nd January. From formal shoes to casual ones, all variety and styles are available at discounted prices on Flipkart. No more you have to run from shop to shop, this one-stop destination suffices all your requirements. Not only this, Flipkart also gives you a plenty of men footwear offers to shop as per your budget. Purchase sneakers for men on Flipkart at a discount of 60%. Also, you can avail an extra discount of 10% on selected items. If you happen to be Axis Bank Buzz Card user, you can earn an instant discount of 5% on the total bill amount on Flipkart. Up to 55% off is available on Casual shoes for men on Flipkart. Avail a discount of up to 10% on Nike Slippers on Flipkart assured. Are you a fitness freak?? @adidasUS has got your covered, add some workout gear to your wardrobe at up to 60% Off. What would be more exciting than availing the best deals from India’s largest online fashion hub? Jabong offers you the trendiest men’s footwear at unbelievable prices during Jabong footwear sale for him. Use the coupon code “WELCOME601” to avail a discount of Rs. 601 on men’s footwear purchase on Jabong. The minimum spend of Rs. 1,199 is required to avail the offer. Also, the offer is applicable to the first order only. Get up to 50% off on popular men footwear brands like Lee Cooper, Hush Puppies, Red Tape, and Woodland. Jabong is giving up to 70% off on men’s casual shoes, a minimum discount of 40% on boots, and up to 70% off on formal shoes. Get an instant 15% discount on making payments via Yes bank credit cards on the Jabong platform. The maximum discount that a user can win is Rs. 500. Special footwear is manufactured for diabetic and orthopaedic patients. If you are an online shopper, you don’t have to visit a pharmacist to purchase men’s footwear recommended by the doctor. You can directly go to Medlife online store and purchase a footwear without any hassle. Avail 20% off on Diabetic and Orthopaedic footwear on Medlife shop. Your right to shop just got better! Metro Shoes is the leading footwear brand which offers unmatched quality and high-fashion products. This online platform gives its customers a huge collection of footwear which suits every need. Up to 50% off is available on men’s footwear on Metro Shoes. The cash of delivery option is applicable only when the minimum purchase is above Rs. 500. Though Voonik is more into women fashion, the online platform takes care of men as well. Mr.Voonik is an exclusive Voonik store for him from where men can purchase shoes, watches, sunglasses, and more. Whether you want to purchase sports shoes or casual ones for men, all are available at a discount of up to 50% on Mr Voonik. Avail an exciting discount of up to 60% on men’s footwear on Voonik and pay via Paytm to earn an extra Rs. 150 off. In order to avail the offer, use the men’s footwear code “VOONIK”. Get a flat cashback of 10% on using Airtel payment bank on Mr Voonik. The maximum cashback amount that a user can avail is up to Rs. 100. Pay via Mobikwik to get 20% SuperCash, maximum up to Rs. 200, on Mr Voonik. Myntra is your destination when you have to shop at reasonable prices. Popular for fashion, this online platform gives its customers the freedom to shop without thinking about spendings. What’s more? Myntra offers exclusive discounts on men’s formal, casual, and sports shoes. Myntra is offering 30%-60% discount on men’s footwear of popular brands. On using the coupon code “MFU5”, users can avail extra 5% off on men’s shoes. On the minimum spend of Rs. 3,000 on Myntra to purchase men’s shoes, the platform is offering a 10% instant discount. From clothing to footwear, whatever be your need, all are available on NNNOW at reasonable prices. Say goodbye to expensive footwear shopping as NNNOW offers a plenty of discounts on its products. NNNOW is offering up to 50% off on popular men’s shoe brands like U.S. Polo Assn. and Arrow. If you are a fan of Vans sneaker, avail up to 30% off on NNNOW. Also, you can take advantage of up to 50% off on Corporate and Casual shoes. Who isn’t aware of the brand Nike? Even if a person is not into sports, he would be familiar with the famous “Just Do It” tagline. Whenever it comes to sports shoes, Nike is the brand that crosses our mind instantly. The reason being the brand’s quality and the cut-edge technology used to make shoes for every activity. If you want to purchase shoes for men on Nike, visit the Jabong platform where you would get up to 40% off on sneakers. Everyone uses Paytm nowadays. It is a single place that lets you pay bills and shop online. On the Paytm platform, you will come across popular shoe brands for men, along with men footwear cashback offers. On the Paytm Mall, you will get 30%-70% off on men’s sports shoes from top-notch brands like Adidas and Nike. On using the Paytm Mall coupon code “FOOT25”, users can available fat 25% off on their men’s footwear purchase. Up to 80% off is available on men outdoor slippers and flip flops on Paytm Mall. Use the promo code “BUYMORESAVEBIG” to earn a flat cashback of Rs. 300 on the minimum purchase of Rs. 999. Use the offer code “FOOT200” to get a cashback of Rs. 200 on the minimum cart value of Rs. 499 on Paytm Mall. Shop your favourites styles at Upto 50% Off for limited time only! Red Chief shoes are known for their quality, toughness and durability. If you have plans to purchase leather shoes online, visit the Red Chief store to get your hands on casual and formal Red Chief shoes for men. On the Red Chief platform, you will come across an exciting discount of 20% on men’s footwear. Get 40% off on Red Chief Flip Flops on AJIO. Also, you can utilize the coupon code “BRANDS20” to earn an extra 20% off, provided the order amount is above Rs. 3,290. Red Tape is a Hi-Fashion & Lifestyle brand that designs trendy shoes for him. From casual to semi-formal, whatever kind of shoes you wish, the pair is available on Red Tape platform. Red Tape is offering up to 50% off on men’s casual footwear. No promo code is required to avail the discount. Amazon is giving up to 70% off on men’s sports and walking shoes. A flat discount of 65% is available on Red Tap at TATA CLiQ. Hurry up! This is a limited period offer. Looking for the best bargain? Stop hopping from one store to another as ShopClues is here to offer you the best prices on different products. Even you would find a number of options on men footwear on this budget-friendly online bazaar. Shop for your favourite shoes at Shopclues and pay via either Airtel payment bank, Mobikwik, or Freecharge to earn an amazing cashback of up to 20%. Gym looks, Yoga looks, Running looks - all your looks are going to be fashionable. Shoppers Stop is the one-stop destination where you would find popular shoe brands at budget-friendly prices. Here, you can easily explore trending men’s footwear and save big on your shopping. Shoppers Stop is offering up to 50% off on men’s footwear. No men’s footwear promo code is required to avail the discount. From casual to formal footwear, Tresmode has to offer you a versatile collection of trending shoes. To get your hands on such an extensive Tresmode shoe collection, use men footwear offers on Tresmode. On Myntra you will get a flat 40% off on Tresmode. No minimum code is required to avail the offer. Jabong is giving a flat discount of 30% on Tresmode loafers for men. Make your workout session fun. Train yourself in these running shoes and get the best of both, comfort and stability. When you shop at TATA CLiQ, you get top-quality and genuine footwear for men. Other perks of purchasing products at TATA CLiQ are on-time and free of cost delivery. Also, you come across a plenty of grant offers and daily deals. If you are a fan of Red Tap shoes, avail a wonderful discount of up to 60% on the TATA CLiQ platform. Get your hands up to 55% off on Puma shoes for men only on TATA CLiQ. 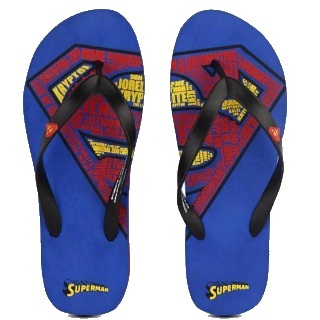 Vox Pop Clothing is a place from where you can buy printed superheroes flip-flops at reasonable prices. To get your hands on your favourite superhero, take advantage of men footwear offers on Vox Pop Clothing. Vox Pop Clothing is providing users with a flat 50% off on Batman, Star Wars, Dawn of Justin, Avengers men flip flops. No offer code is needed to earn this instant discount. If you want a perfect pair of men footwear to add in your collection, explore Westside. The best thing about this leading brand is it never compromises with the quality whether you want to purchase casual shoes or sandals. Avail the exciting discounts on Soleplay by Westside on the TATA CLiQ website. No minimum purchase and men’s footwear are required to avail the available discount. Wildcraft is one of the most recognisable brands in India. From funky bags to stylish shoes, Wildcraft is already rocking the online marketplace among people. Easily, you can look for Wildcraft shoes online and apply the available Wildcraft men footwear coupon to earn an unbelievable discount on your bill. Shop for Rs. 5,000 to avail a flat discount of Rs. 1,000. Don’t forget to use the promo code “WLDCFT1000” before purchasing Wildcraft men’s footwear. Use the offer code “WLDCFT2000” to get a flat Rs. 2,000 discount on your men’s shoe shopping, provided the total order value is above Rs. 8,000. On the Jabong platform, users will get a discount of up to 50% on Wildcraft men’s sports shoes.